ADOT SR-90 (SR-92 to Giulio Cesare Avenue) - KE&G Construction, Inc. 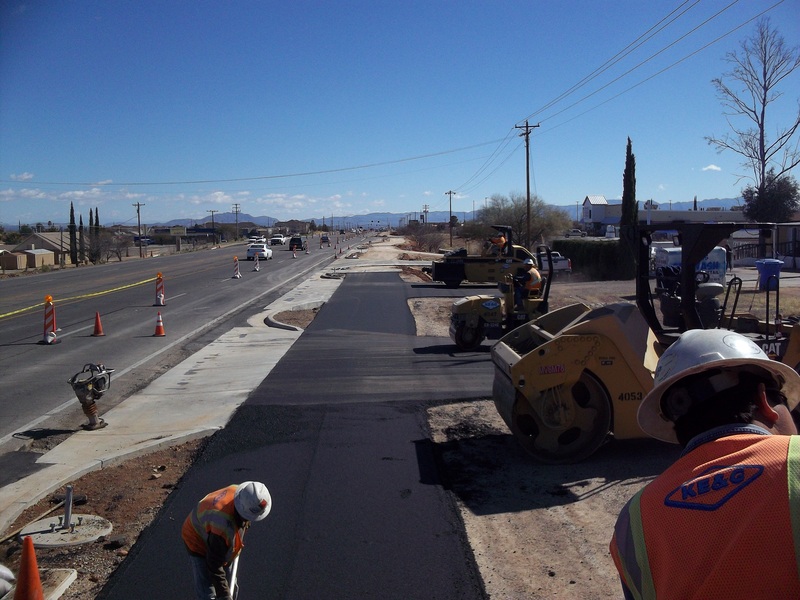 Awarded in September 2014 by the City of Sierra Vista, this project runs along SR-90 and begins near the SR 92 intersection, extending east to Guilio Cesare Road. KE&G Construction will be installing roadway lighting, a HAWK crossing signal, and a shared use pathway located on the south side of the roadway. This project was designed to provide pedestrians with a safe walking path and secure crossing point.